MyOSHAstore is the ultimate non-dues revenue generator tool for any member association looking to maintain and grow membership and provide valuable member benefit! Our quick service turn around and our sophisticated ecommerce system is constantly evolving, based on your feedback, in order to bring the highest level of accuracy, efficiency and profits for MyOSHAstore customers. Our simple, easy to set up system frees you from the maintenance and updating associated with an e-commerce product. MyOSHAstore provides Chambers of Commerce, Franchise Groups and other membership organizations with the ability to assist their members with their business compliance needs. By combining a sophisticated ecommerce solution with targeted branded email marketing, MyOSHAstore offers a versatile platform for customers to provide the services their members demand. We provide you with a button that you simply place on your website. The link will direct your members to your OSHA store. Don't have a website? No problem. We will create a webpage for your members to learn about your OSHA store. View The OSHA Store as an example store. All your orders are processed and fulfilled at our facility. We take care of the website hosting, marketing, customer service, maintenance and product updates. We create email templates branded with your logo. We will send out bi-monthly eMail campaigns to your members for you. If preferred, we will provide the eMail campaigns to you so you can send the eMail Marketing campaigns to your members. We will provide important and relevant information that will help your members stay compliant and you appear as the expert. We will create monthly specials and and offers to increase sales. Your members will be able to navigate directly to your products via the links on the email. We can maintain your subscriber database. We will provide detailed reporting on how your email marketing campaigns are performing. 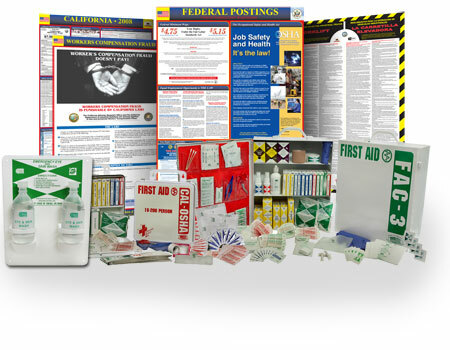 Earn royalties on every product sold in your OSHA store. Create a substantial monthly income stream for your organization while helping your members stay compliant. Our system automatically tracks your sales and calculates your royalties.